In New Jersey, the initial steps in a criminal case are streamlined in a system known as central judicial processing (CJP). This system was put in place to shorten the amount of time between when an individual is arrested and when they first see a judge, as well as to consolidate the initial phases of legal process in a criminal case. By understanding how CJP court works, you can know what to expect if you are arrested and charged with an indictable crime in Camden County, NJ. If you or someone you love has an upcoming court appearance for Central Judicial Processing (CJP) in Camden County for charges such as aggravated assault, unlawful possession of a weapon, intent to distribute marijuana, heroin, or cocaine, terroristic threats, or another felony offense, contact William C. Fay today at 609-832-3202 for immediate assistance. One of our experienced New Jersey criminal defense lawyers will answer all of your questions and explain how we can help. What happens when you’re arrested in Camden County, NJ? Right after you are arrested in Camden County, NJ, you will taken to the local police department for intake and processing. After the police charge you, take your photo, fingerprint you, and record any other information they need, you may be released on your own recognizance and ordered to appear for your first appearance before a judge at the time stated on your complaint, or you may be held in police custody. If you are held in custody, you will be brought to Camden County Jail. In that case, you will be scheduled to see a judge for the first time the following day or on Monday morning, if you were arrested over the weekend. What will happen during Central Judicial Processing? If you are in custody at Camden County Jail, you will appear before a judge using video conference equipment. Individuals who are released on their own recognizance in New Jersey must go to the court listed on their complaint for their first appearance. In the case of Central Judicial Processing for an indictable offense (also known as a felony), you will be required to appear in Camden County Superior Court. At your CJP court appearance, which occurs before a judge, you will be told the charges against you. You are entitled to have a lawyer present with you at this hearing and it is very important to hire an experienced criminal defense lawyer from the very beginning of your case. Central Judicial Processing is your lawyer’s first opportunity to speak to the prosecutor and try to get the charges against you downgraded or dismissed. During CJP, the prosecutor can also request that you be detained pending the resolution of your case. This often occurs in domestic violence cases and other cases involving violent crimes. If the prosecutor files a motion for detention in your case, you will be scheduled for a detention hearing (also known as a bail hearing). This may take place on the same day as your first appearance or a few days later. New Jersey does not use a monetary bail system any longer, so you will not be required to post bail in order to get out of jail while you wait for your court date. Instead, a risk assessment system is used and the judge will be required to release you from custody while you wait for your trial unless the judge determines that no condition or set of conditions could reasonably assure that you will not be a threat to someone else’s safety, fail to appear in court as scheduled, or obstruct the criminal justice system. If you have been arrested and charged with an indictable offense in Camden County, New Jersey, it is important to take this process very seriously. Felony charges in New Jersey carry significant terms of imprisonment and the potential for heavy fines, among other severe consequences. A criminal history can also make it difficult to obtain employment and have many adverse effects on your life for years into the future. 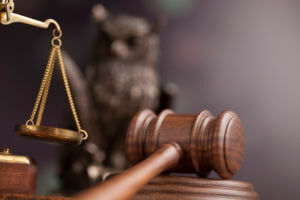 The criminal defense lawyers at our firm have a depth of knowledge in New Jersey criminal law and routinely obtain successful results for our clients in Camden County. If you are facing criminal charges and need to appear for Central Judicial Processing in court, call us immediately at 609-832-3202 for a free consultation.